On the 20th of January 2017, a car mounted the curb in the Melbourne CBD and was driven through the Bourke Street Mall, into crowds of pedestrians. Without knowing the full extent of the disaster, an emergency situation was called at the Royal Melbourne Hospital with the expectation that resources were about to be pushed to their limits. 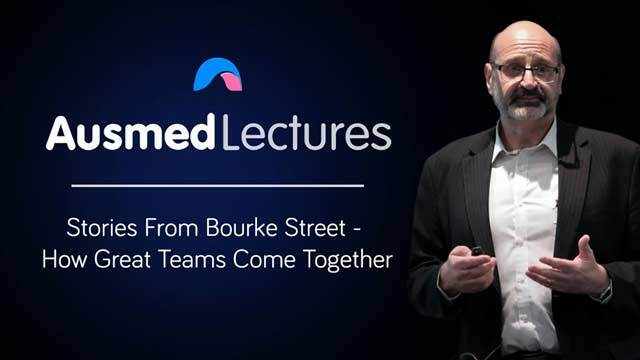 Professor George Braitberg shares how his hospital team managed to come together in the face of disaster by following their action plan and adapting in such a high-pressure situation. George Braitberg is executive director of strategy, quality, and improvement at Melbourne Health and professor of emergency medicine at the University of Melbourne. After completing his training in emergency medicine in Australia, Professor Braitberg undertook a fellowship in medical toxicology in Phoenix, Arizona. He is also a fellow of the Australasian College for Emergency Medicine, the American College of Medical Toxicology, and the Royal Australian College of Medical Administrators. He holds a master in bioethics and health services management. Professor Braitberg work as a consultant emergency physician, toxicologist, and administrator. He is a board member of St Johns Ambulance Victoria, a medical advisor to Ambulance Victoria, a member of the Victorian Clinical Council, and the Board Ministerial Advisory Committee. His research interests include toxicology, pre-hospital care, and clinical governance. He received an Order of Australia (AM) in 2018.